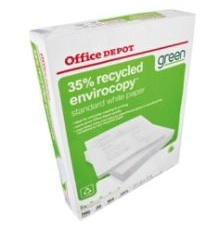 Home > Office Supply Stores > Office Depot: Printer Paper for $0.46 a Ream Shipped! 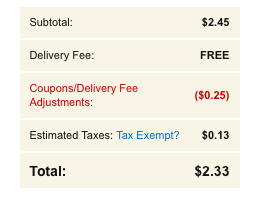 Office Depot: Printer Paper for $0.46 a Ream Shipped! This deal has expired, but go here for other great Office Supply store deals. Wow!!! If you need paper, then jump quickly order this crazy deal from Office Depot. Get a Ream of Printer Paper on sale for 49¢, then use code 623493286 to get 10% off. Your order should qualify for FREE shipping no matter the order size. I grabbed 5 reams and paid $2.33 shipped! That’s 46¢ each! This will probably sell out quickly, so here’s hoping a few of you can get some.